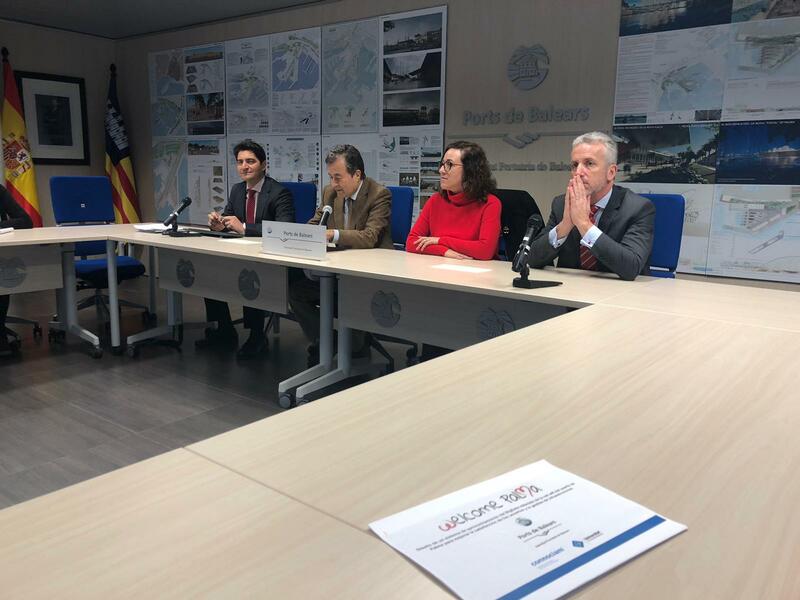 The President of the Port Authority of the Balearic Islands (APB), Joan Gual de Torrella, and the Councillor for Tourism, Business and Employment of the Palma City Council, Joana M. Adrover, have this morning presented the Welcome Palma app at the APB headquarters. This is a tool created by the APB in collaboration with the Palma 365 Tourism Foundation and the University of the Balearic Islands (UIB). It is aimed at providing personal information to the cruise tourists who get off in Palma, and hopes to improve visitor satisfaction and help control infrastructure. The app feeds off information obtained through the port and Palma city WiFi network, which also allows us to control the flow of visitors in real time. In this way, the information we obtain can help us offer information specific to each tourist which will improve their stay. It also can help satisfy visitors and help achieve a more balanced spread of tourists around the points of interest in the city. Welcome Palma lets users know in real time which places are the busiest and helps organise the most convenient itinerary. It also provides additional information on culture, public transport services and gives up-to-date weather forecasts. The app will be trialled starting on Tuesday 5 February as the Costa Diadema cruise ship arrives. This test period will last for between 4 and 6 weeks, in which data obtained over the WiFi network will be collected and analysed. It is hoped that the app will be available to everybody by Easter. Among its more innovative features, it is worth highlighting the ability to show ‘heat maps’ which indicate the sites where there are a lot of visitors, and the ‘chatterbot’, which goes by the name of Sebastian. This virtual guide, named after the Patron Saint of the city, will guide tourists throughout their visit and help them decide what to do. It also provides cruise tourists with clear and simple information regarding the time schedule of the cruise ship stopover, and the public transport available to ensure that they get back to the ship on time. The best way to access the app is through Facebook, given that this enables the tourist to get personalised information, with insight into the most popular sites, how busy these places are in real time, proximity, and things suited to the likes of the user. However, it can also be accessed through the web portal or the application. 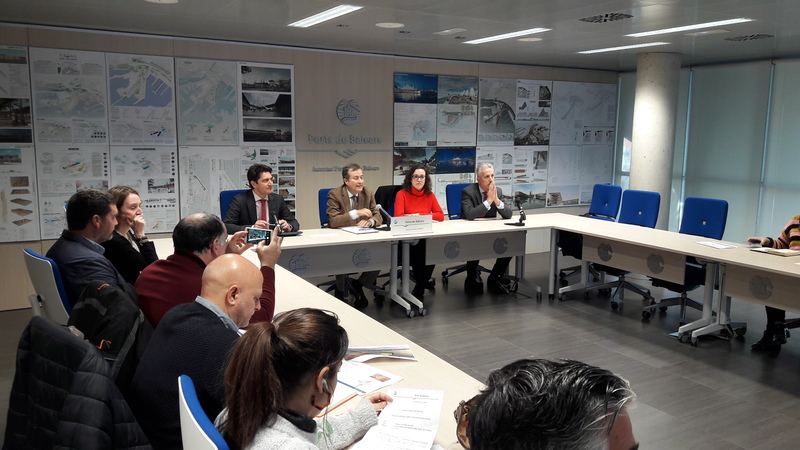 The President of the APB, Joan Gual de Torrella, has stated that Welcome Palma is the port's contribution to the Palma 365 Tourism Foundation, of which the APB is a member. Gual has highlighted the importance that managing and optimising the use of the new tourist feature has for cruise ship tourism, as well as the collaboration with the Cruise Lines International Association (CLIA) for coping with similar challenges to those faced by other cruise ship destinations such as Barcelona, Venice or Dubrovnik. The Councillor for Tourism, Business and Employment at the Palma City Council, Joana Maria Adrover, has thanked the APB for their involvement with the Palma 365 Tourism Foundation and has pointed out that this project is aimed at helping residents and visitors live together better, as well as also pointing out some other points of interest which are not so well-known by visitors. This aims to spread the benefits of this type of tourism out better. Pedro Homar, manager of the Palma 365 Tourism Foundation has shown some of the technical aspects of the application and told us that “it is a tool for controlling Palma's success as a tourist destination”. Homar explained that the app could be accessed through the internet or Facebook and would have a major benefit in preventing crowds gathering in the centre of the city, sending them instead to other places of interest. Jorge Martin, the head of Quality, Environment and Innovation at the APB and the person in charge of the project explained more technical details about the application and thanked the company Connociam, the UIB and the University of Girona for their involvement in the creation of the app.